With SUV’s becoming ever more popular throughout Britain, there can be a cluster of new makes and models that will leave you with a confusing headache. The Nissan Qashqai and Ford Kuga are sure to be part of your shortlist after you’ve looked at the used market, and we’ve done the legwork for you so you can choose which one would suit you better! The Kuga carries a premium over the equivalent Nissan, but the difference in price isn’t as noticeable as you might think on the used car market. The Qashqai got a new look in 2017, with the grille enlarged and more prominent with more angular features. This angular theme is noticeable through the headlights and air intakes too. 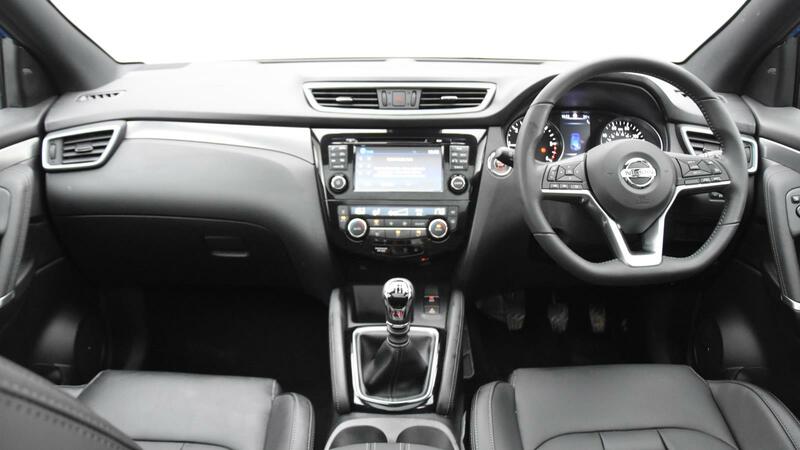 Inside has got a fresh new look too, so you’ll have a pleasant and more luxurious time behind the wheel too. In the same vein, the Kuga also got a facelift in 2017. The new Kuga has also made its grille the party piece. The lights, both front and back are more angular and have a defined square shape compared to its predecessor. The dash in the Kuga has also been modified to look a lot sleeker, and the infotainment screen is a lot more accommodating too. If you are after a sportier SUV, then the Kuga is the way to go as it has an ST Line version. The most recent model was launched in 2018, so you might not find many of these on the used market yet! Comparing trim to trim, the Kuga has more features as standard. The Zetec (the lower trim) has alloys, a heated front windscreen and DAB radio. The further up the trims you go you’ll find features such as a rear camera, park assist and premium Sony speakers which includes a sub-woofer. If you’re looking for a vehicle based on the average MPG, then the Qashqai is the one to go for, with its dCi 1 10 manual achieving 70.6mpg. 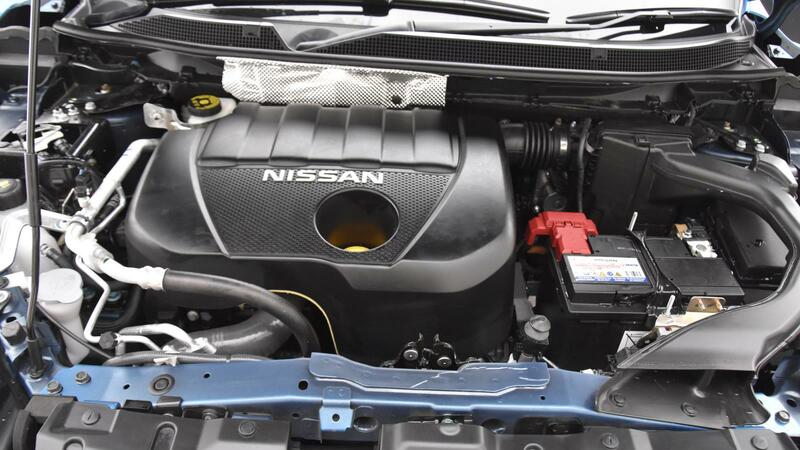 But you will need to keep in mind that in general with the majority of engines, there isn’t much difference between the two SUVs. If you’re after more performance, then the Kuga will shine as it generally has quicker 0-62 speeds, but if you choose the DIG-T 163 Manual engine in the Qashqai, you’ll beat the Kuga there too. Please be aware that the fuel consumption figures and the CO2 emissions change slightly according to alloy wheel size. We have given the consumption and emission rates for the bigger alloys here. The decider – which should you choose? 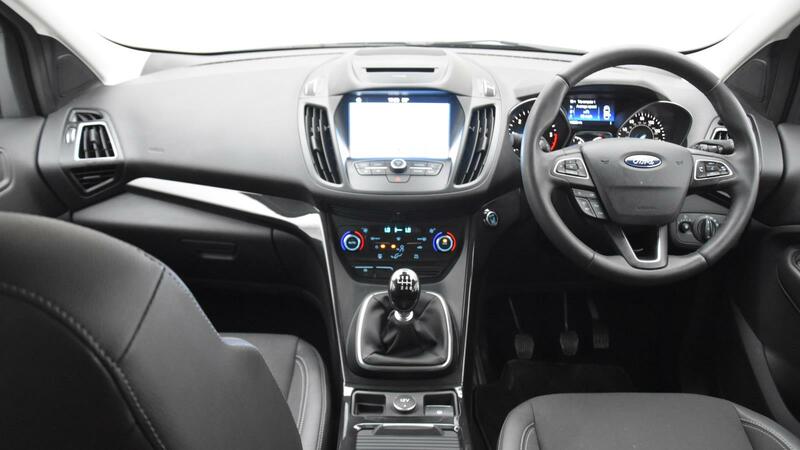 If features are your thing, then the Kuga delivers as it has more as standard throughout the trim levels. The Kuga also offers a more prestige driving experience and overall feels a lot more premium when compared to the Qashqai, but this is reflected in the price. Keep in mind that the Qashqai is a great family hatchback and offers better value for money. 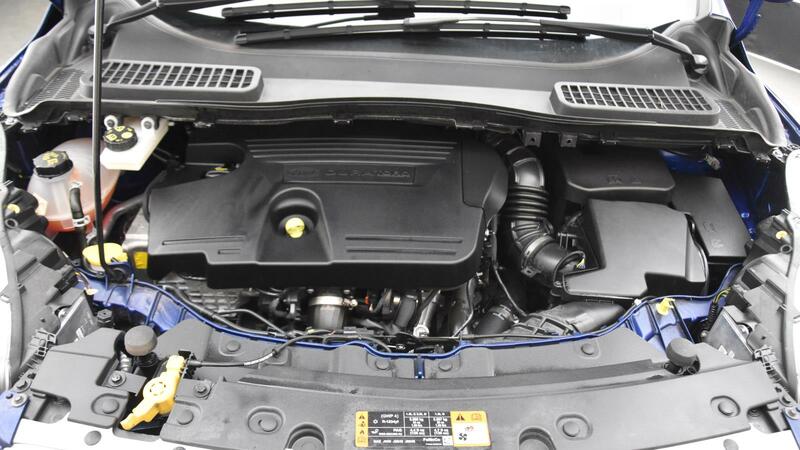 It also has a wider range in engines if you’re after more power or better MPG, and if you’re willing to fork out a little extra, you can have all the features you want too.